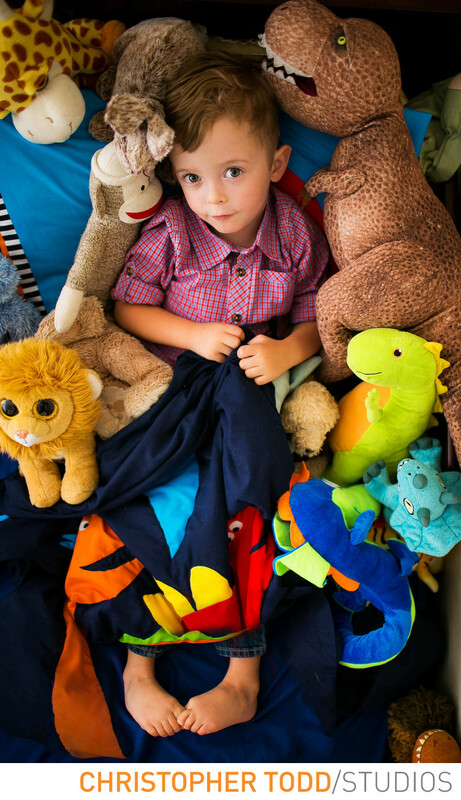 During this lifestyle photography session we found the little boy playing with his stuffed animals. Naturally we took many photos of this real moment. Part of documentary photography is taking natural un posed photos of kids and parents. A great way to make the story complete with your photography session is to let us create a custom album of the day. This really ties in all the pictures together. A timeless and precious album your children will fight over when they are adults. Contact us today with questions about your lifestyle session. 1/100; f/1.6; ISO 320; 35.0 mm.